AIGA, The Professional Association for Design, had humble beginnings. At their first meeting, everyone brought their own chair. 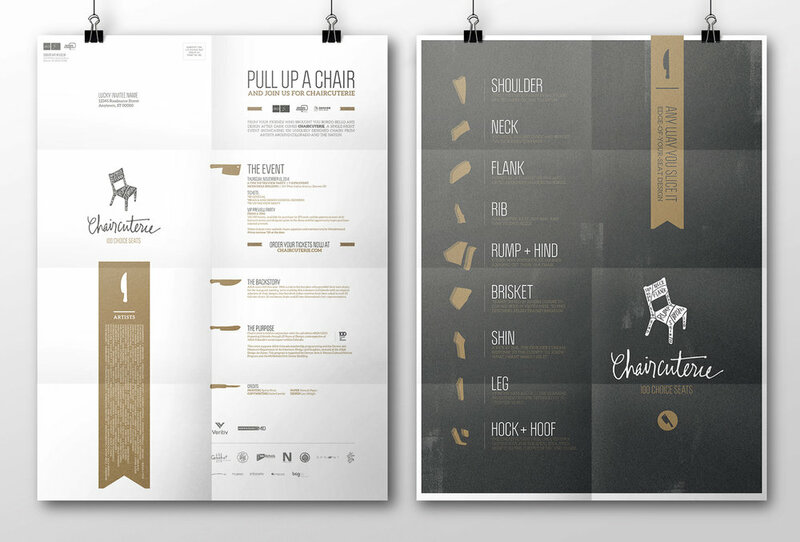 To coincide with AIGA Colorado's 25th anniversary and to celebrate AIGA National's 100th anniversary, the art exhibit Chaircuterie was developed. 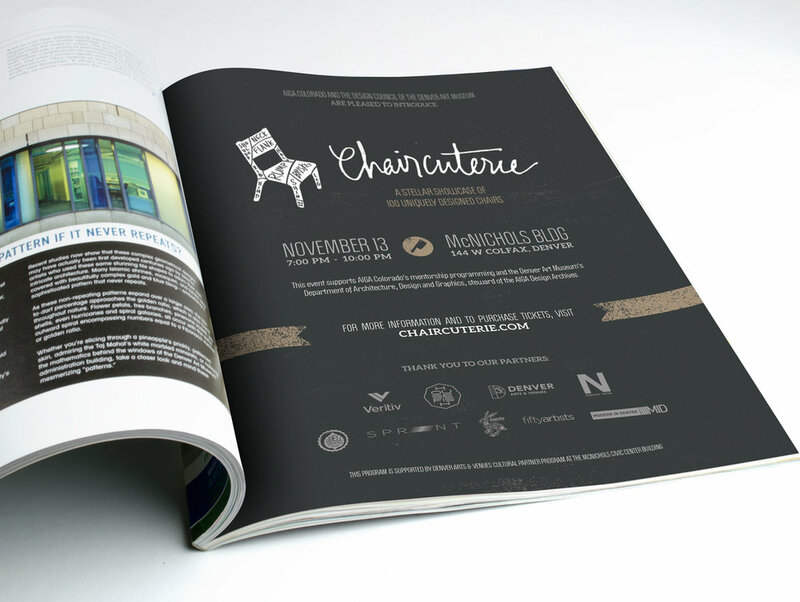 The exhibit featured 100 uniquely designed chairs from national and local artists. Our approach to the logo not only had to be visually intriguing and fun, it had to appeal to the toughest critics out there... designers. The event was based around a Housefish chair design that artists reimagined. 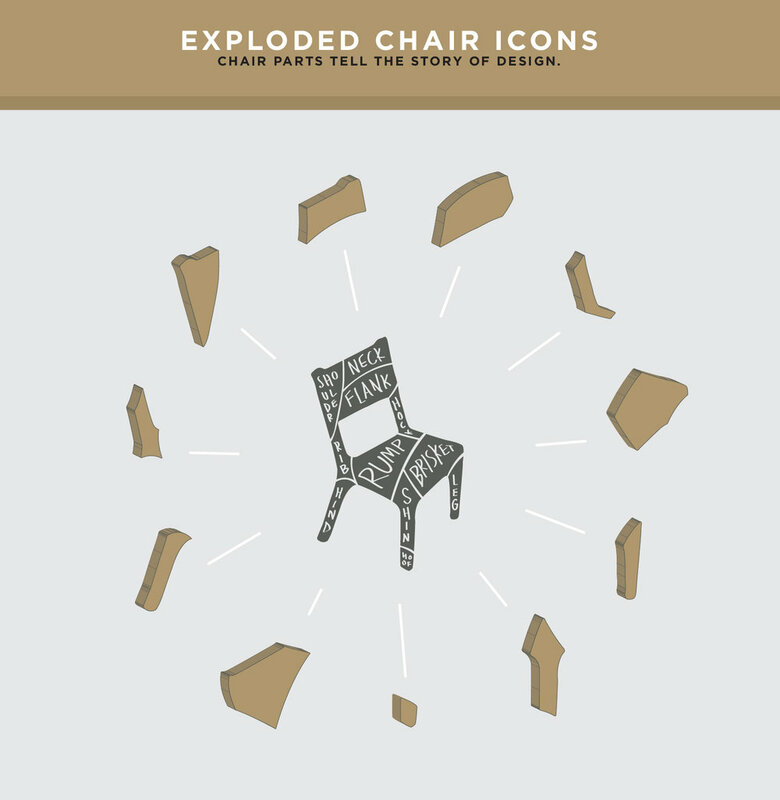 Therefore the chair shape became the launch point of the design exploration process. 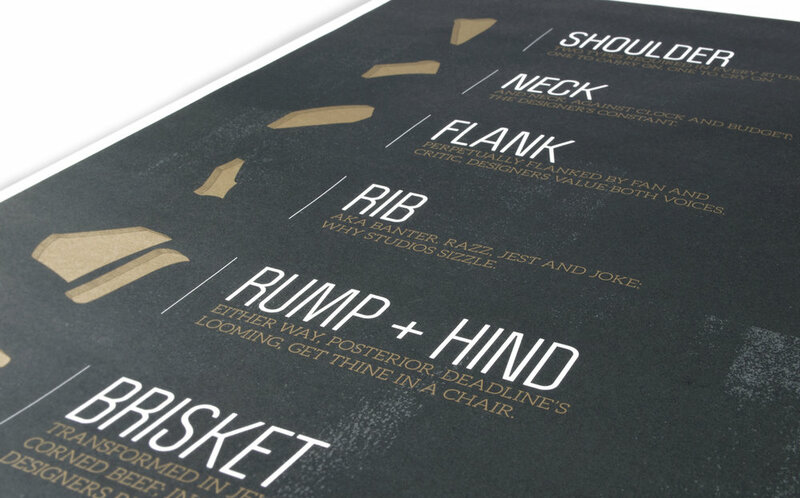 We integrated the idea of the meat classification chart to further expand on the theme, because who doesn't love meat charts? And being that the identity was hand-rendered, it was important to maintain consistency with typography, so we created a custom typeface. And, of course, custom illustrations (everyone needs those). The print campaign included ads in local design-driven periodicals and a direct mail piece that doubled as a poster, the audience was, after all, packed with designers. Designers love posters. 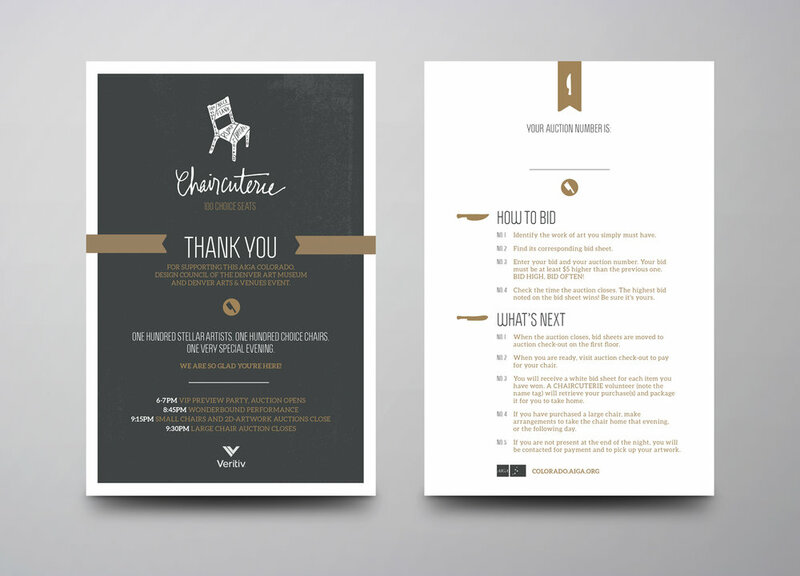 Given the shoestring budget, we also focused on creating an effective digital campaign with a strong social component.